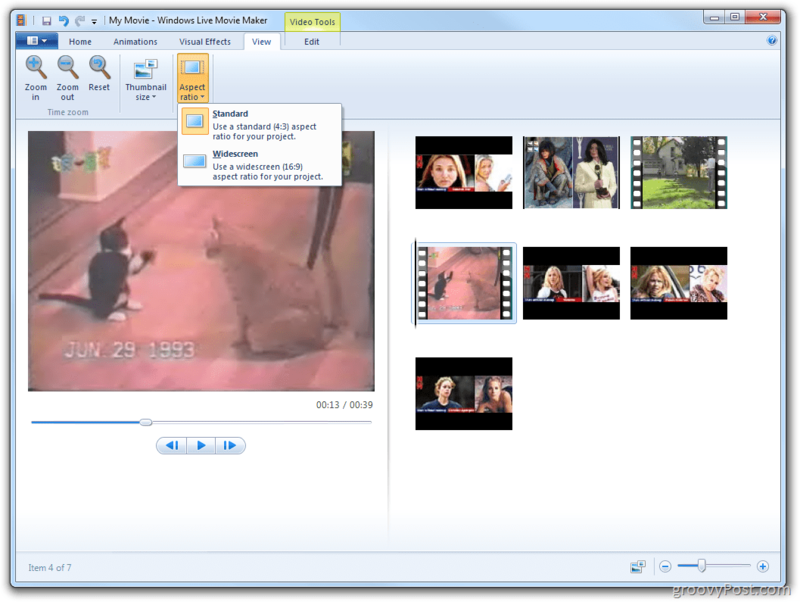 Microsoft released Windows Live Movie Maker today for Windows 7 and Windows Vista. 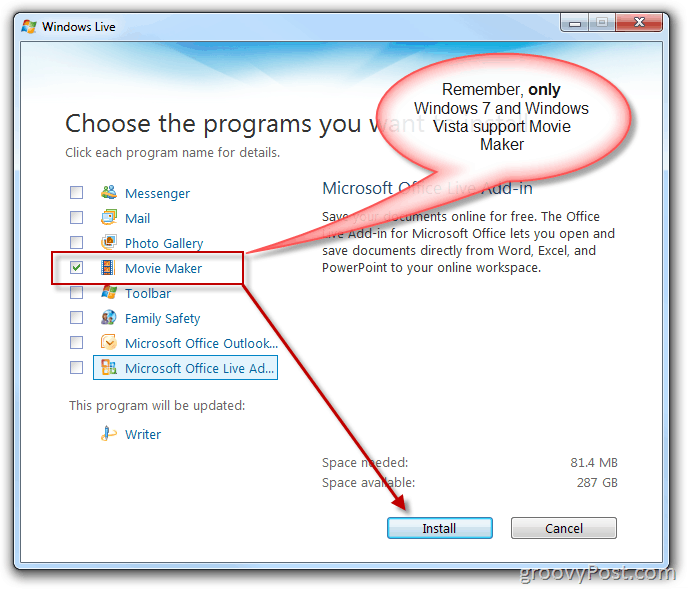 Being a long-time fan of Windows Movie Maker for Windows XP, I’m very excited to see that Microsoft has finally taken Windows Live Movie Maker out of beta! Best yet, like the original Movie Maker and Movie Maker 2, it’s FREEWARE. Note: During my install, Photo Gallery installed along with Movie Maker even though I didn’t select it. … and I think we have a VERY nice and simple tool for grandma. Anyone out there installed this yet? Comments? 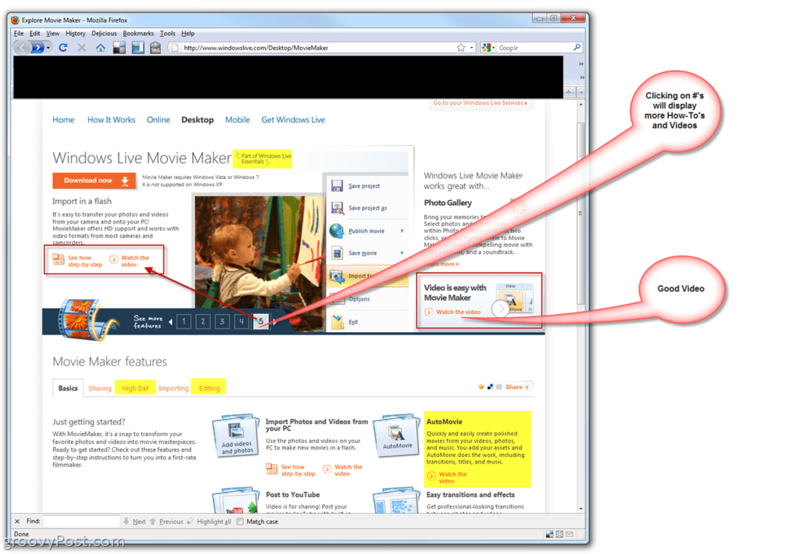 What do you like/dislike about Microsoft’s new Free Movie Maker? 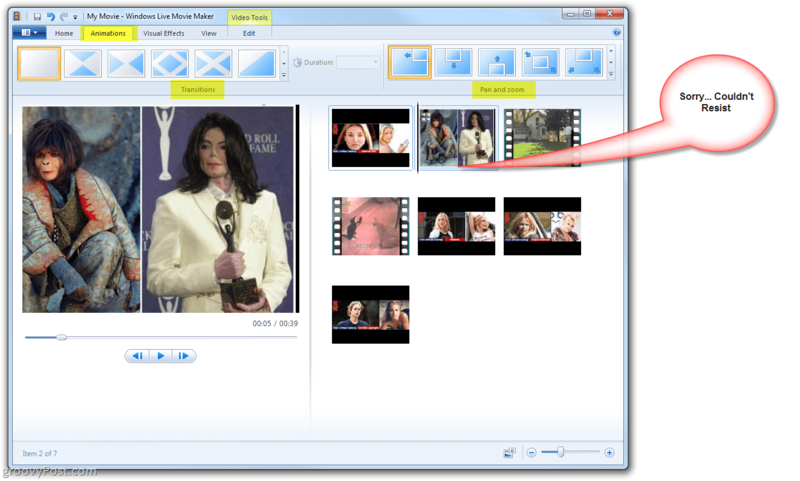 Movie Maker seems pretty good… It is REALLY basic though. Microsoft has really gone simple on this. You can put together a home video in no time, but you’ll very quickly see limitations if you want to do much more that cut some video and put a piece of music underneath it. I’m not sure… maybe Microsoft finally making something simple is to be vigorously applauded! Maybe too simple? Hi Chris. Good thoughts. I agree, Simple is a good word for it. I tried to highlight that in my article. 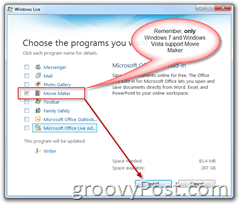 If your looking for a FULL featured product – http://is.gd/2qJaw/groovypost/ there are several to choose from however from the consumer Market I think Microsoft is target with this release, I think they hit a home run. Is it a serious competitor to the MAC counterpart… No not really…. Is it good enough for 90% of those Mom and Dad’s out there who just want to get stuff off their camcorder or digital camera and dump it up on th net? Yeah I think so. I for one think they really did hit a home run with this version of Windows Live Movie Maker. In 3 clicks I created a movie and with a 4th click I uploaded it to YouTube. Can’t get much easier than that. I applaud Microsoft for a great piece of software. Hi Larry and welcome to groovypost! Yeah, it just works. I think that’s what most people are looking for. Something dead simple and easy to post videos and photo gallery’s to YouTube with. 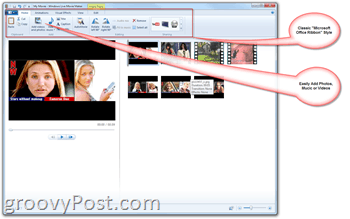 I’ve always used Windows Movie maker, and this one is the best so far. It has inspired me to look into more professional editing software though. CAN YOU SHOW ME THE WAY, HOW TO INSERT THE VIDEO I EDITED INTO MICROSOFT POWER POINT 2003? Post your question into our forum.